When your stomach is feeling under the weather, IsaFlush can help to relieve your discomfort without relying on laxatives or harsh chemicals. The supplement’s natural formula is made from ingredients such as magnesium and peppermint that have long been used as a remedy for digestive complaints. IsaFlush is designed to restore balance and regularity to your digestive system, enhancing your body’s ability to absorb nutrients and eliminate waste. Instead of relying on chemicals, IsaFlush forgoes potentially dangerous laxatives and instead relies on natural remedies, some of which have been used for hundreds of years. A blend of cleansing herbs and minerals helps to relieve gastrointestinal discomfort while supporting the growth of flora within the digestive tract to ensure long-term comfort. Peppermint leaf helps to ease stomach pain, while powder from the black walnut fruit hull relieves constipation. Magnesium is thought to help relax the gut muscles and is included in many antacids and laxatives. 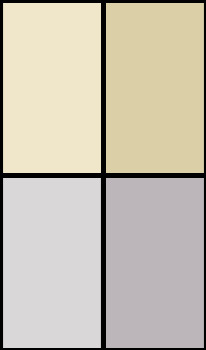 IsaFlush is created with ingredients derived from nature instead of potentially hazardous chemicals and toxins. A special blend of herbs and minerals supports the health of good bacteria living in your gut, helping to promote intestinal health and regularity in bowel movements. 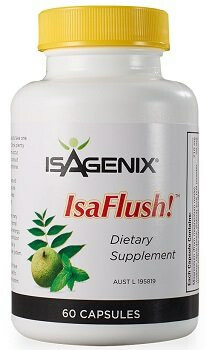 IsaFlush doesn’t contain any strong laxatives or stimulants that might cause pain or cramping. It relies on natural ingredients such as magnesium and black walnut to eliminate constipation. This product is soy-free, dairy-free and gluten-free so that even those with extreme dietary restrictions can enjoy the benefits of a healthy digestive system. Ideal for adults over 18 who are looking for a natural way to support digestive regularity and ease discomfort in the gut. It contains very few irritants or allergens, making it safe to use for most people, but you should always consult a doctor before making any changes to your diet or lifestyle. IsaFlush uses an natural formula that contains safe yet effective ingredients such as black walnut and hyssop extract. Capsules contain no stimulants, laxatives, or potentially harmful chemicals that are often found in competing digestive support supplements. Take 1-2 soft gel capsules daily. Works best if taken on an empty stomach. Click here for a full list of ingredients. Take care of your digestive system with a safe and natural solution featuring gentle herbs and cleansing minerals.